A close association between Trichomonas vaginalis (TV) infection and bacterial vaginosis (BV) has been reported. Some other studies have found association is stronger with intermediate Nugent score than BV. Most studies have used wet mount microscopy, a relatively insensitive method, to detect TV infection. We wanted to study the association of TV infection with BV and with intermediate Nugent score. 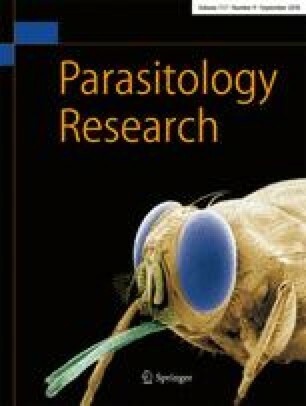 We undertook a cross-sectional hospital-based study of 1110 non-pregnant women from Odisha state, India, aged between 18 and 45 years, collecting vaginal swabs for diagnosis of BV by Nugent score (NS) criteria and TV by PCR analysis. TV infection was found in 13.3% of women with intermediate Nugent score (NS 4–6) and 13.6% with BV (NS 7–10). Before adjustment, TV infection was associated with BV, intermediate Nugent, vaginal pH ≥ 4.5, and age group between 26 and 35 years. Multivariate analysis confirmed that TV infection was more likely to have raised vaginal pH, either BV or intermediate Nugent. Proportion of TV cases increased sequentially with the increase in Nugent score up to NS 6, after which a decline was observed. Vaginal pH was higher in the TV-infected group than the uninfected group in women with intermediate Nugent, but no difference was noticed in women with BV. TV infection was equally prevalent in women with intermediate Nugent as well as BV. In the intermediate Nugent group women, TV infection was found only when vaginal pH was raised, indicating a crucial role of vaginal pH in determining TV infection. We thank Prof Jane Carlton (Center for genomics and system biology, New York University, New York, USA) for providing TV positive isolates. We express our appreciation for the support from study participants, and hospital nurses for assisting in this project. PD, BT, PP designed the study and data collection instruments. PD managed and coordinated the study. PD, TS, JRM and SS did the laboratory work. Bijaya Panda (BP) and AN are the gynecologists responsible for recruitment of cases and collection of vaginal samples, PD and Bijay Padhi (BP) conducted data analysis, PD, OC, BT, and PP were involved in conceptualizing the manuscript. All authors had intellectual input during the study period and contributed to drafting the manuscript. This work was supported by the UK Department for International Development through the Sanitation and Hygiene Applied Research for Equity (SHARE) consortium and intramural support from Asian Institute of Public Health (AIPH), Bhubaneswar, Odisha, India. However, the funding agencies had no involvement in study design, data collection, data analysis, and data interpretation, and the views expressed here do not necessarily reflect those of SHARE or AIPH. The study was approved by the Institutional Review Board of Asian Institute of Public health (AIPH) (AIPH ethics ref. : ERC/ No: 2014–16) and the Ethical Committee of Department of Health, Government of Odisha (Ethics ref. : 237/SHRMU). Only those who provided written informed consent to participate in the study were included.